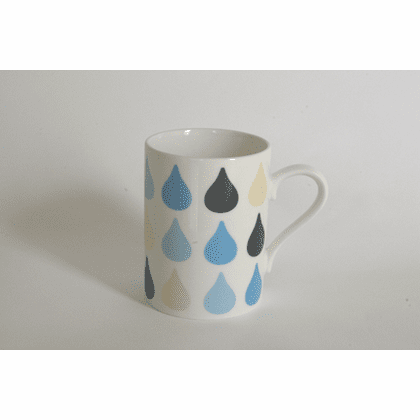 Water Drops "Toro Drops" Blut's Tea/Coffee Mug 8 oz. This ceramic mug is designed by Toshihiro Aoki for Blut's. It is 2-3/4 inches in diameter and 3-3/4 inches tall. Holds 8 ounces.